The grasshoppers that jumped out and away wherever you trod in our field last summer were green and there were lots of them. 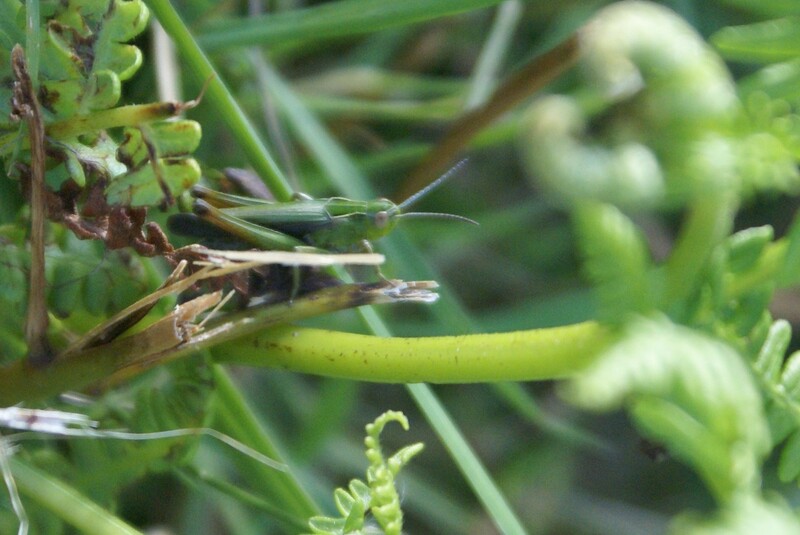 That might make you think that they were Common Green Field Grasshoppers but with talk of global warming, climate change and species in all the wrong places (A Dartmoor Blog https://adriancolston.wordpress.com) I have been inspired to have another look at my photos and to try to be more precise in my identification. First impressions may well have been correct and this confirms me in the belief that things should be named for what they are, although in this case I had such difficulty in photographing him that Brown Kneed Elusive might be a better name. 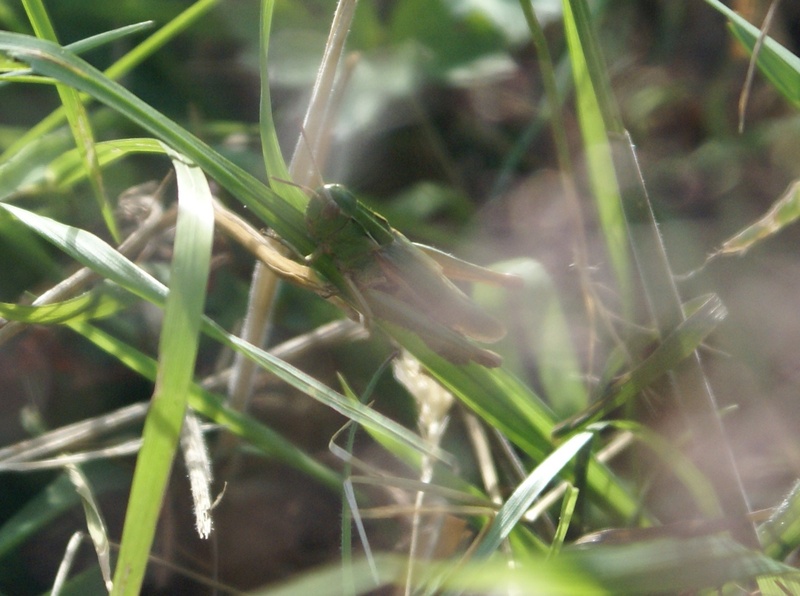 If you recognise this creature please leave details otherwise he will remain Omocestus viridulus, the common green field grasshopper. As always thank you for sharing your findings with us and giving us a chance to observe, comment and learn from you. Have a happy New Year to you and yours.